Who doesn't remember this wonder Snake Game for Jar or Java Phones some years back? This was a very addictive game and we challenge friends and families with our high score. Now this game is available for Android users. Snake Xenzia Rewind 97 Retro can be downloaded and installed on your Android device for Free. Now it is on Android phones, the controls will be very easy and nice. New levels included options and graphics improvements as expected. 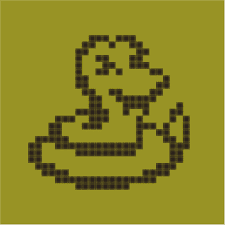 This is a remake of the original Snake Game App for Nokia 1110i phones. I can remember playing this game with friends and comparing scores. You can bring back memories by downloading and playing it. Snake Xenzia had a cheat on the Nokia 1110i phone which was dialing 787898 on your Keyboard and you will get unlimited health by not being affected by any object. This made it easy and possible to get past level 8 which is almost impossible. Now, there is no cheat confirmed by me yet on the Snake Xenzia Rewind 97 Retro game, but you can still try and you think will work. This is the official download and all credits to the developer. The App is 12mb in sie.